From the same team that brought you the Total Fishing Manual , comes the book fly fishing fanatics have been waiting for: The Total Fly Fishing Manual: 307 Tips and Tricks from Expert Anglers. 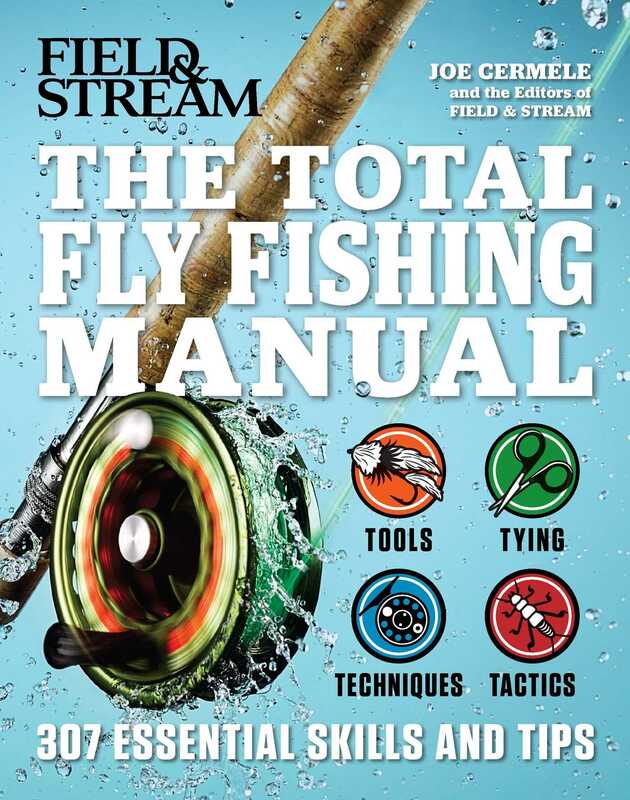 The Total Fly Fishing Manual is the most comprehensive collection of expert fly fishing advice and up-to-date gear reviews. This book gathers the best tips, old school-techniques that still deliver and adds a wealth of new material. With high-quality design, intricate detail, and a durable flexicover—this manual is the perfect gift! Filled with over 300 hints from the best anglers in both salt and fresh water, the editors of Field and Stream give you everything you need to make the perfect pitch, find a secret spot and score a fish. From the best flies of all time to the best reel for the job and when to change your hooks learn about the tools you needed for the job. As well as practical skills like tying a Palomar knot, how to unravel flylines, the five-minute fly, tying a clouser minnow, and how to lose the tailing loop. From old to new, everything you need to know to strike in the night, put a different spin on it, spot and stalk, shoot the breeze and find where they feed. Put yourself in the best position for the catch: get up the creek for a late-season trout, find a secret spot, sneak up on more fish, fish headwaters for autumn trout, fish with your eyes, hook more rising fish, take the long shot, and dominate the shoreline. Whether you’re fishing for, salmon, bass or carp this guide will help you improve your technique, upgrade your equipment and hook your prize fish. The Woolly Bugger is the perfect pattern for a learning fly-tyer. It’s big, so you can see what you’re doing, and it involves only a few inexpensive materials. Even more importantly, it’s a proven producer for trout, bass, and almost anything in between. STEP 1 Wrap black 6/0 thread along the length of a size 10 streamer hook. Always wrap away from yourself, over the top of the hook. If you want a beadhead bugger, slide the bead on the hook before starting your wraps. STEP 2 Secure one large black marabou feather at the front of the hook, and wrap all the way back to the bend. You want to leave enough feather exposed to create a tail. STEP 3 Connect a 2-inch piece of fine copper wire by the tail, and also a strand of black chenille. Wrap the thread forward, then the chenille, but leave the wire behind. Tie off the chenille with a half hitch. STEP 4 Now tie on a saddle hackle feather (black or grizzly), palmer it back (wrap with spacing), and secure this with a couple of wraps of the wire. Trim the leftover hackle. Wrap the wire forward, and tie it off with the thread. Trim the excess wire. STEP 5 Finish the fly with a tapered thread head. Whip- finish, apply a dab of head cement, and you’re done.